Associate and bachelor’s degree programs are also available. 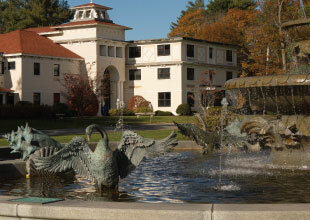 Please visit vanloan.endicott.edu for details. With scenic oceanfront locations in Beverly and Gloucester, a public transportation–accessible Boston campus, plus several international sites, Endicott’s Van Loan School covers a lot of ground in eastern Massachusetts and beyond. Many degree programs are now offered 100% online for ultimate convenience and flexibility. The spirit of Van Loan is entrepreneurial—goal-driven students looking to accelerate career paths, start or lead businesses, and proactively improve education excel here. “We designed the Van Loan School to be flexible and creative so that all students, even busy professionals, can find a format and style of learning that maximizes potential and opportunity,” said Dr. Richard E. Wylie, President of Endicott College. Van Loan School faculty members are active practitioners and recognized experts with real-world experience. They design their programs and curricula based on industry trends and the current skills desired by employers—providing students with a true competitive edge as they seek career advancement or entry into a new field. Small class sizes allow students to receive personal attention from faculty and program directors with opportunities to collaborate with fellow students. With this comes networking opportunities specific to each program. Van Loan adjuncts are well connected in their industry, and such affiliations help students build meaningful relationships within their fields. That student population includes busy professionals, working parents, lifelong learners, military personnel, first-time students, and others. Many programs offer rolling admission with several entry points throughout the academic year. Interested students can try a course or two prior to enrolling in a full program. GRE or GMAT scores are not required for master’s degree programs. Whether you are a mid-career professional, a returning student, or a military veteran, you need a rigorous program taught by leaders with real-world experience.